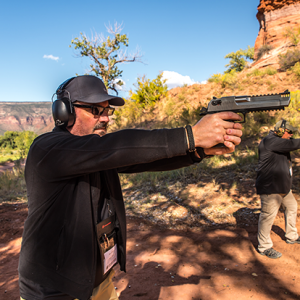 Nino Bosaz’s career in shooting and outdoor media began in 1995 as an editorial assistant for Combat Handguns, Tactical Knives and Whitetail Strategies magazines. Since then he has launched several highly successful publications including American Frontiersman, Tactical Weapons, AR Rifleman and The New Pioneer, and produced custom publications for Nikon Sport Optics, Glock, Barrett Firearms, Mossy Oak Camo, Blackhawk Products and other leading outdoor companies. Today he oversees print content for Athlon Outdoors, the leading media company in firearms, shooting sports, and survival/self-reliance with 24 magazine titles reaching 33 million passionate readers each year. Although gun magazine publishing has been his main occupation, Bosaz also wore the hats of editorial director, e-zine editor and direct-mail catalog designer/publisher for e-tailer eders.com and served for several years as a weekly contributor to realtree.com.